A vocation, generally speaking, is simply a call from God to a certain state of life. Marriage, in this sense, is a vocation, and so too are all the various professions, such as doctor, teacher, or carpenter. God thus calls us all to a certain vocation, one which best suits our talents, best prepares us for heaven, and most honours Him. Each person has a duty to discern and fulfill this vocation. Everyone is called to holiness and salvation: “The God of all grace has called us unto his eternal glory in Christ Jesus”, says St Peter (1 Pet. 5:10). Our concern here, however, is not to consider the call of every person to salvation, but rather to the particular vocation by which God calls someone to a higher life. This is a vocation in which one renounces the world in order to give himself entirely to God, and obliges himself not just to the observance of God’s commandments, but also the evangelical counsels. The term “vocation” in its strict sense applies to the calling to this higher state of life. 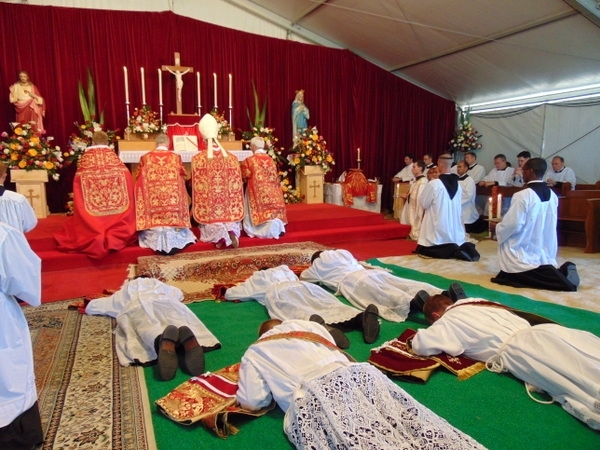 The priesthood and the religious life are infinitely superior to all other vocations, because they have the service of God and the good of souls as their immediate end. They are free gifts of God bestowed on those of His own choosing: “You have not chosen Me, but I have chosen you” (Jn. 15:16). God wants to shower humanity with abundant blessings and graces. He has chosen the priest to be the special instrument for this task and the religious to be the special intercessors for mankind. Without the priest, the sacraments, and the constant prayer of the religious, many souls will spiritually starve and will find it hard to get to heaven. 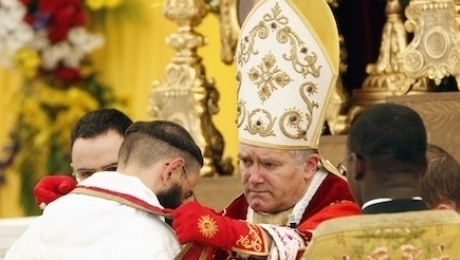 This is why discerning true priestly and religious vocations is of the utmost importance.